It has been a great experience to work with CCA Londonderry - Derry on their Gran Domestic Revolution Goes On! exhibition. This is the third time GDR is being exhibited. Aileen Burns and Johan Lund have explored GDR from the perspective of labour. It's always exciting to see a new reading of GDR and how it can be expanded with new artists, new events, new contexts. 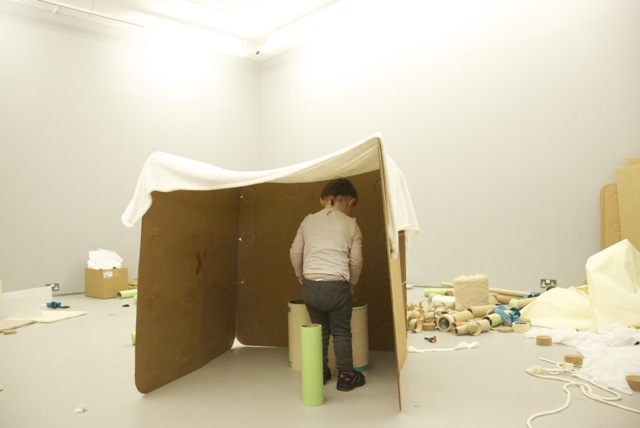 The CCA had the initial idea to develop a temporary childcare setting inside the exhibition in a partnership with Sure Start and invited me to implement the project. 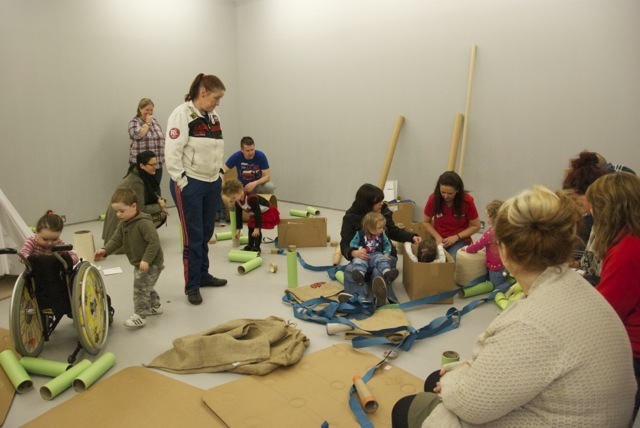 The childcare setting will run for two hours a day in the morning before the gallery is open. We constructed the setting using natural materials gathered at the Belfast Play Resource Centre, we organised the material inside the gallery and the children, parents and carers will use this materials to build toys, dens and used cardboard to construct movable barriers to stop the children to escape to areas that could be hazardous. 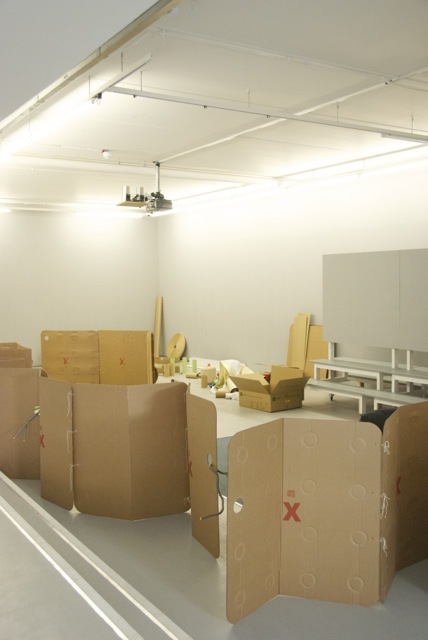 We used the same barriers to protect artworks that could be easily damaged. 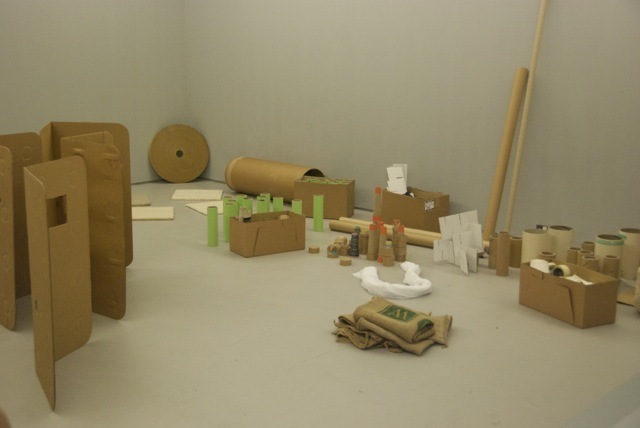 Christian Nyampeta designs are quiet playful in themselves and the new cardboard structures seem to co-exist successfully. 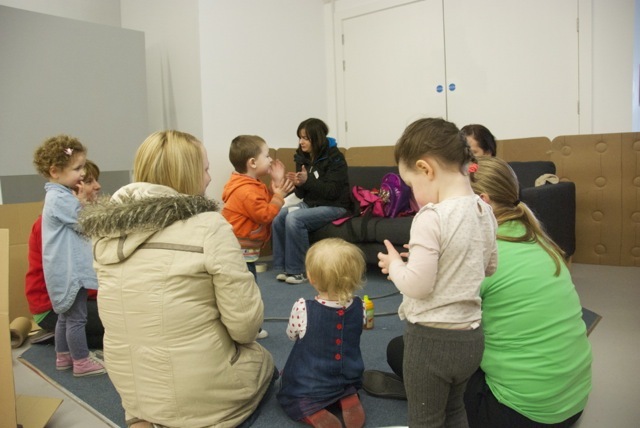 Although I really wanted to have the space open and the visitors encountering the children this was not possible because of the risks involved. 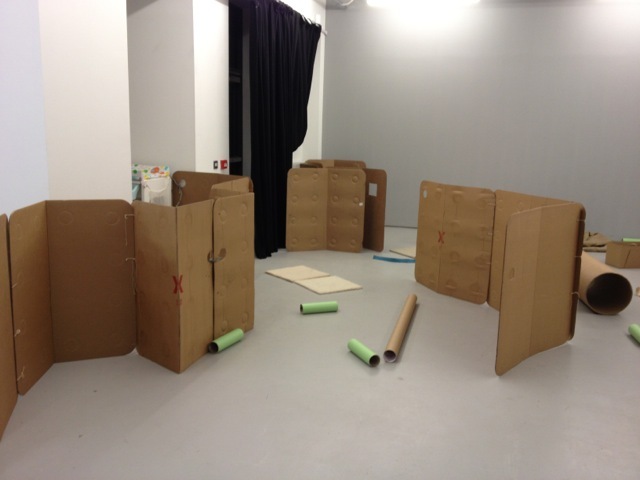 The occupation of the space by the children is made visible by leaving the remnants of their play on the gallery. 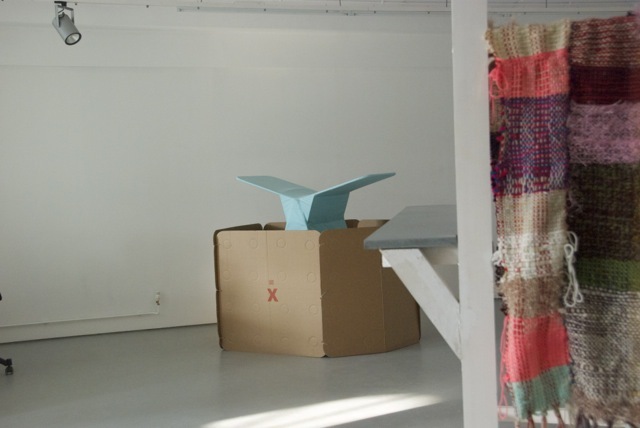 The project tries to explore some of the areas touched by the previous ISP installation at The Showroom. We are exploring DIY culture as a way to look for new ways of living. Some of the parents were a bit worried at the beginning with the lack of toys but I'm very grateful that most of the participants embraced the challenge. 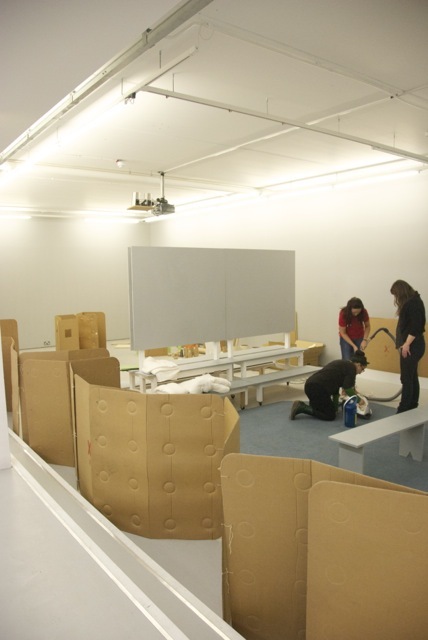 It was also a way to make the "invasion" of the exhibition possible. Cards with suggestions of how the public can interact with the the materials and children's toys are left around the show, and hopefully the borders will become more blurred as the time passes.